Even though most of Munich's famous sights can be reached easily with public transportation, many prefer the bike over the U-Bahn. Deutsche Bahn’s Call a Bike Service keeps you mobile in Munich even if you do not have a bike of your own. The bikes can be found at various places all over Munich. 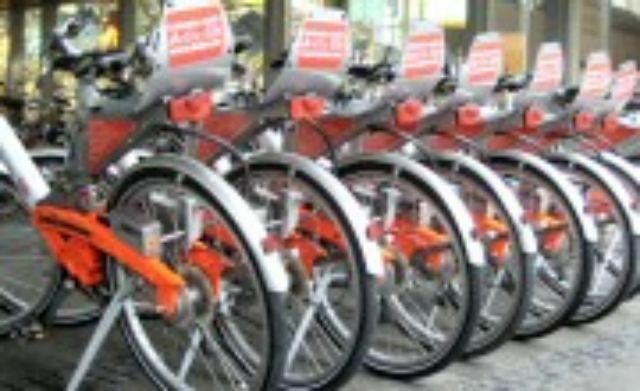 To rent a CallBike, you first need to register. When registering, you decide whether you would like to pay by credit card or have the amount due deducted from your bank account. After that, all you have to do is find a bike and call the framed telephone number on the lock. Enter the number code given to you into the display - and off you go! When making a stop, simply lock your bike and press the button on the side. At the definitve end of your journey, make sure to securely lock you bike and to press the button on the right hand side of the lock. The bike will log out automatically.